In the spirit of the award-winning full-size blanket, we have created a luxe baby blanket. 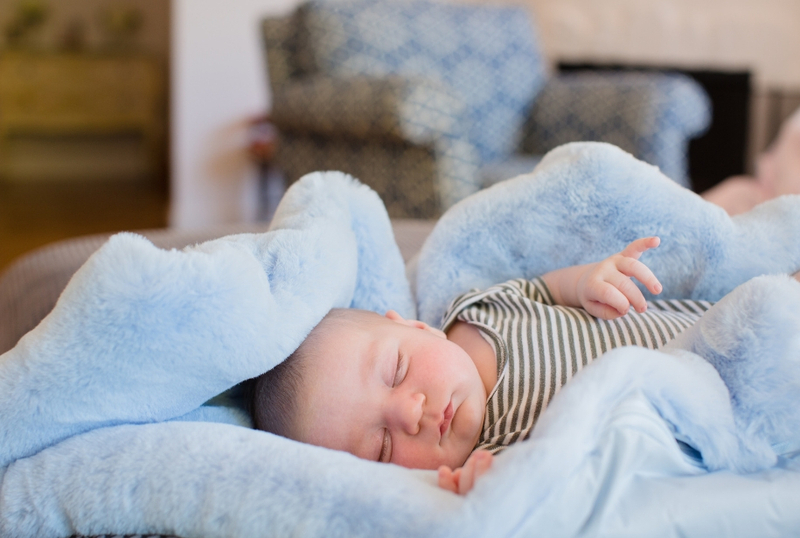 The baby blanket is intended to be used fur side-down when covering baby and fur side-up when used as a mat. The RuggedTex® backing is white. It is 28 x 32, flame retardant, machine washable and weighs two pounds. 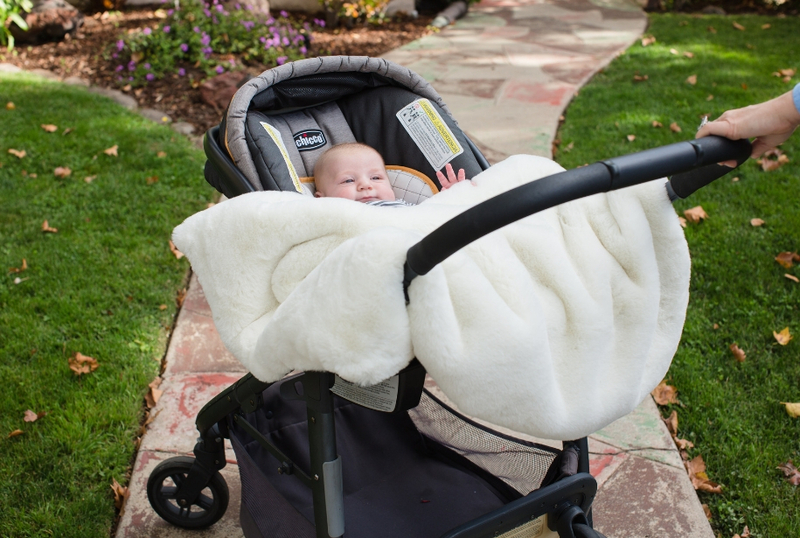 Boasting luxurious faux fur on one side and waterproof, windproof RuggedTex® fabric on the other, the incredibly soft blanket is perfect for strollers, floors, park outings and so much more. This stylish and practical baby blanket will quickly become your go-to. All Pretty Rugged blankets come packed in an easy-to-carry, waterproof duffle bag and are embellished with our signature vintage ribbon. Weighs 3 pounds - perfect for use as a calming blanket. Presented in a small duffle as a carrying case and/or perfect for gift giving. Measures 3’ x 3' and includes durable carrying straps for easy rolled storage and carrying. Our stylish and practical Baby Blanket is the sister product to our award-winning full-size blanket. Winner of "Best In Market"
"It's simple, but super smart and useful and it should be a runaway success." A rugged 2 lbs that will keep baby warm and won’t blow away! Customize your blanket with baby’s initials! Not only will will it keep baby warm and dry, the more you use it, the more you and your family will love it. How big is The Pretty Rugged Blanket? Will it fit two people? The Pretty Rugged Blanket is an ample ­50” x 70” (about 4 ft. x 6 ft.). We like sharing – and these blankets were made for it! You can easily drape one over your lap and the lap of someone you like (hopefully), with plenty of room to keep warm and snuggly! So my Pretty Rugged Blanket can be personalized? Yes! For a small fee, we can embroider your name, initials, logo or custom artwork on the zippered pocket. Imprint specifications and pricing are on the Shopping Cart at checkout. What’s the zippered pocket for? It serves two functions. First, it stores your personal items and keeps them safe and dry. Second, it provides a large imprint area (18’’ x 18”) for the embroidery of your name, initials or custom artwork – without compromising the waterproof qualities of the RuggedTex® backing. How long is the fur? The Arctic Blue and Glacial White blankets are the same faux fur in a different color; the pile is about a half inch long. The Frost Gray faux fur is a little more than an inch long. YES! The blanket backing and zippered pocket are constructed of 100% waterproof, windproof, spillproof RuggedTex® fabric. The faux fur side is not waterproof; but the blanket backing will protect the fur (and you!) from the elements. Is The Pretty Rugged Blanket available in other fur colors or styles? Not yet – but stay tuned! We plan on expanding The Pretty Rugged line quickly – so check back often. Even better, sign up for our email shout-outs to keep up to date with special sales, new arrivals and seasonal promotions!. Is The Pretty Rugged Blanket machine washable? Not really. We have had some success using the ‘delicate‘ wash cycle and air-drying our blanket; but we strongly recommend professional dry cleaning if it gets really soiled. After using ours for a year, we have NEVER had to get it cleaned (and I drag mine everywhere!) Don’t forget – it’s Pretty RUGGED! Is wholesale pricing available? How about quantity discounts? Absolutely! Please call our toll-free number 1-833-778-4433 to speak with a customer service representative about your needs. What happens if this becomes my family’s favorite blanket and I don’t want to share? Just know that you are not alone. 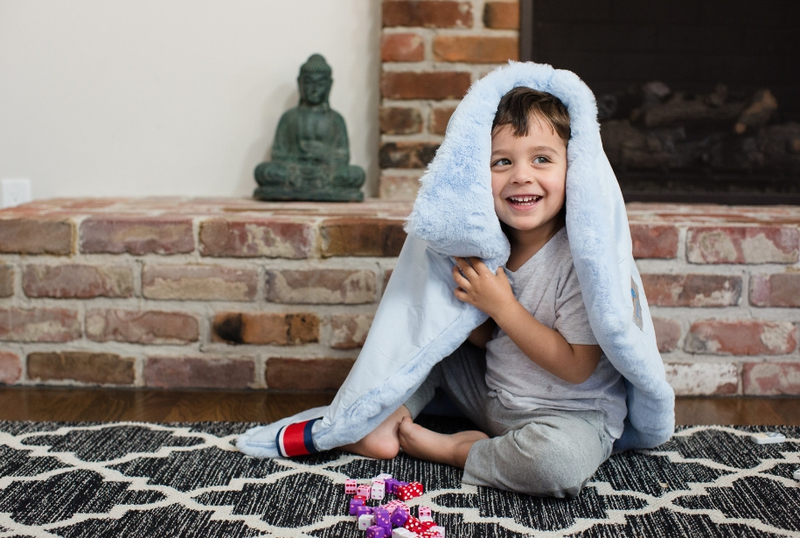 So rather than break up a family, we suggest buying a Pretty Rugged Blanket for everyone in your household (or hide yours in a safe, secure place). Your satisfaction is guaranteed! If anything is wrong with your blanket we will fix it or replace it. 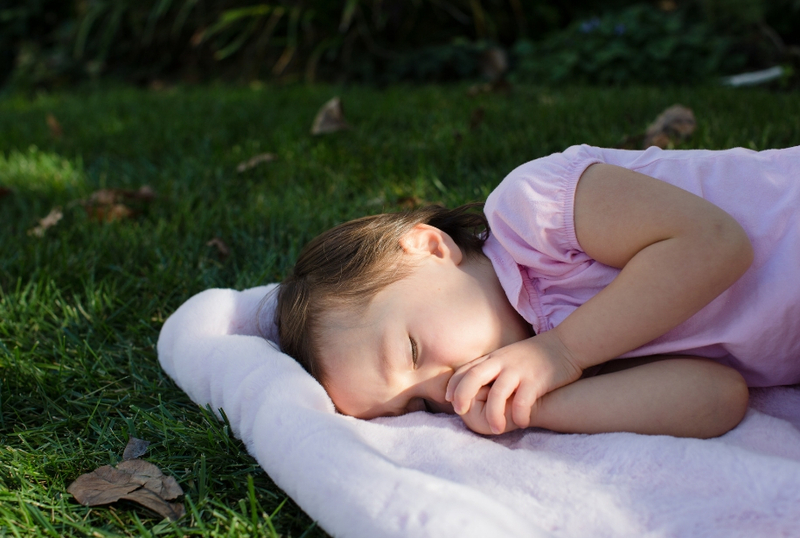 Blankets customized with embroidery or artwork are non-refundable unless defective in their manufacture. What should I do if the fur gets wet? Take another deep breath – and grab some paper towels. Blot the liquid until most of it is absorbed; then lay the blanket out flat and allow it to air dry. After it dries, if the fur fibers are stuck together (like your hair after it’s been washed), take a comb to that area, separate the fur fibers, and...voila – good as new! What should I do if the RuggedTex® backing gets dirty? Take a deep breath – and then get a damp cloth and wipe it off. Problem solved! Pretty Rugged products are useful, durable and beautifully-crafted. Please enter your email and we will send you a password reset link.